I want to make a virtual introduction to my favorite local designer, Diana Fox. She can be found at Bliss Home as the ultimate interior design diva. 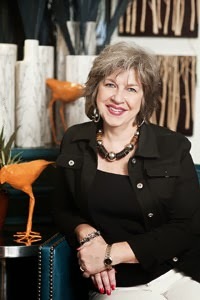 She may look familiar as she also makes regular appearances on the Fox 43 Morning Show while showcasing her beautiful creations. If you need a fresh pair of eyes to give you a modern home makeover, she's your gal. 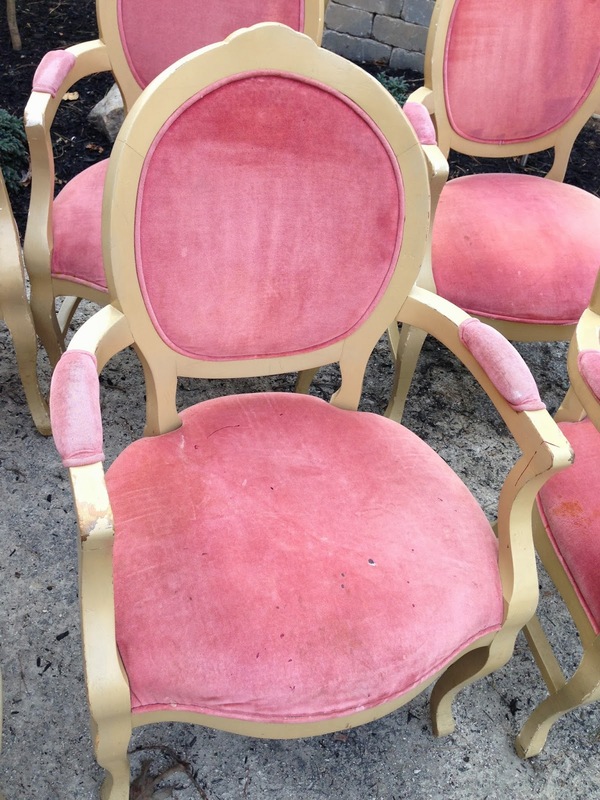 You won't go wrong with Diana! I purchased these chairs from a restaurant that went out of business for a great deal. 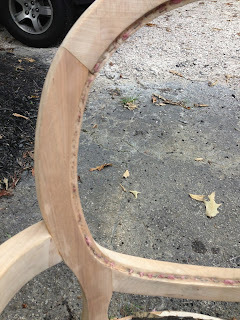 I didn't realize what bad shape they were in until I started working on them. 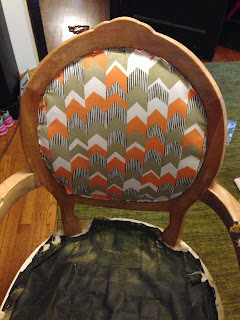 I've only done two so far but will admit that I've spent over twenty hours on these chairs. 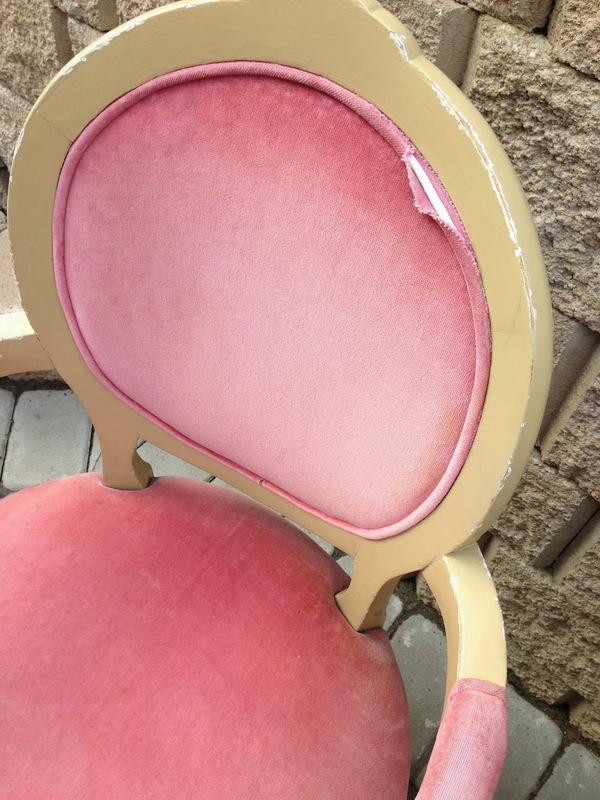 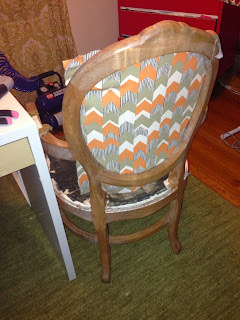 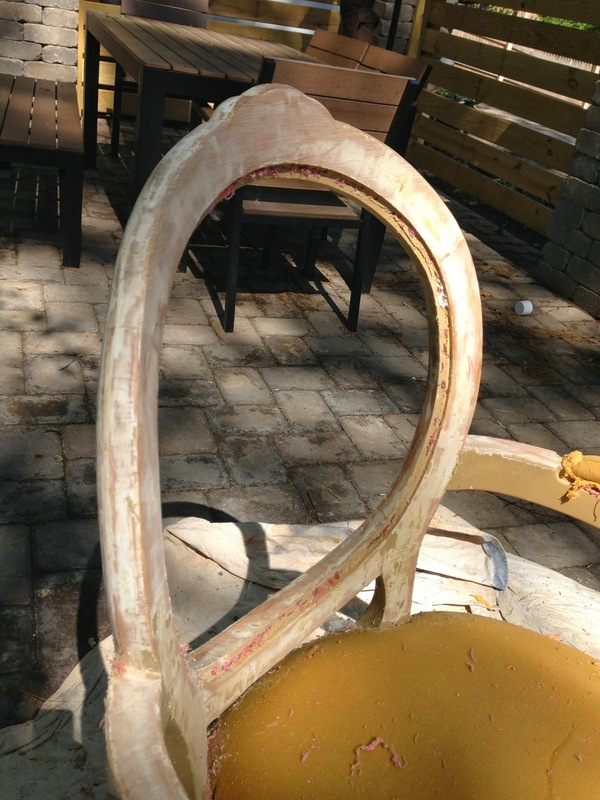 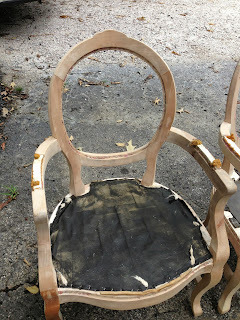 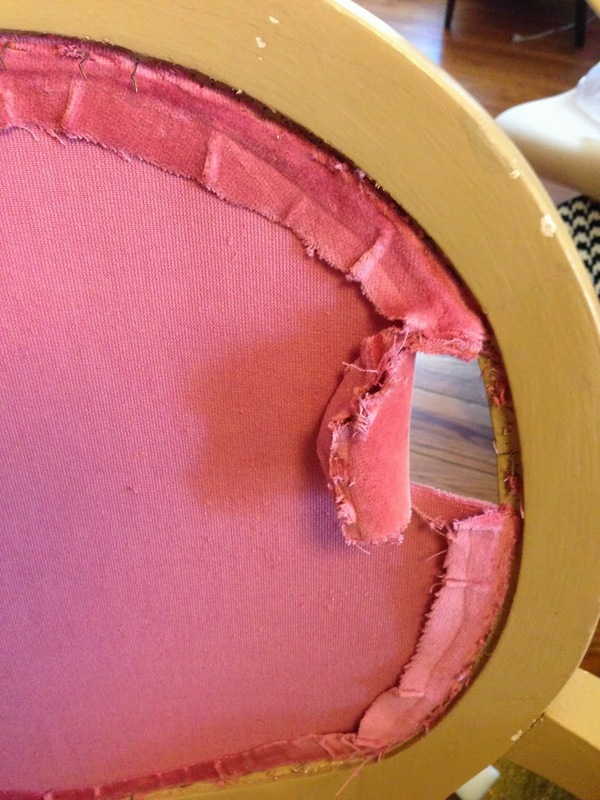 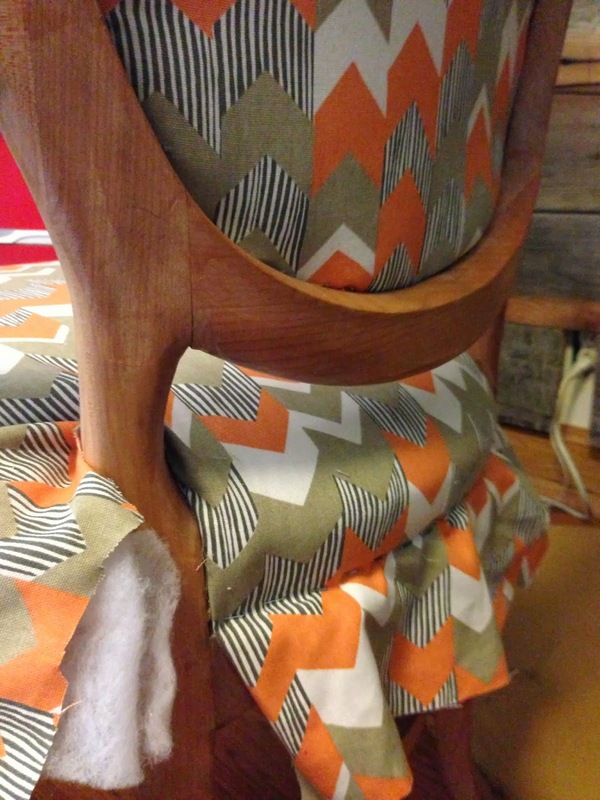 My transformation began with stabilizing the chairs and glueing. I then stripped the fabric and stripped the hundreds of layers of paint (took most of my time). 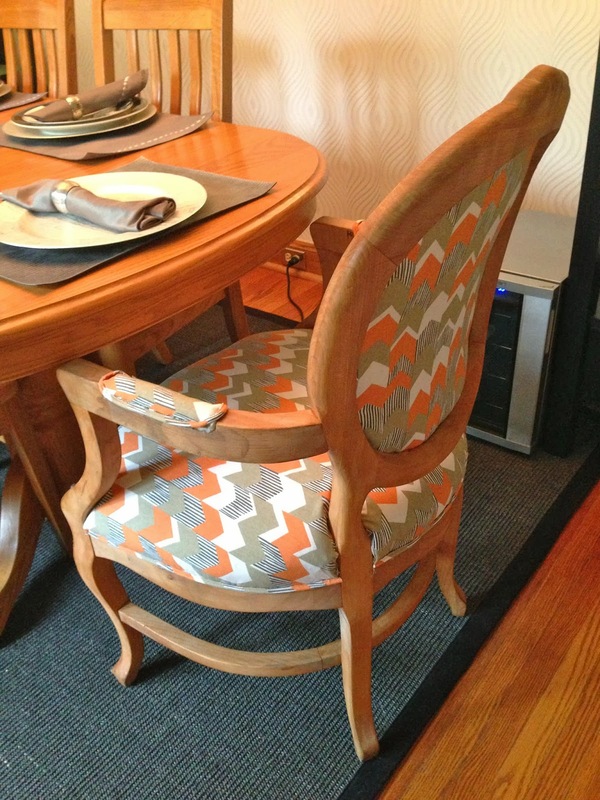 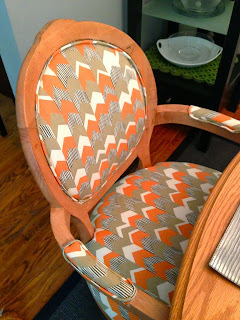 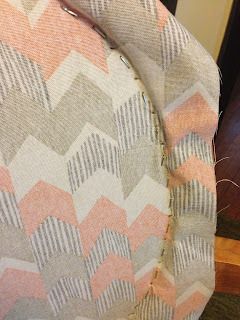 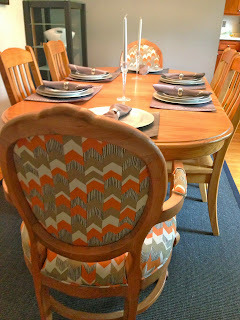 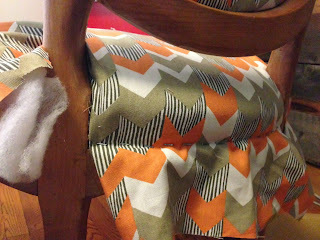 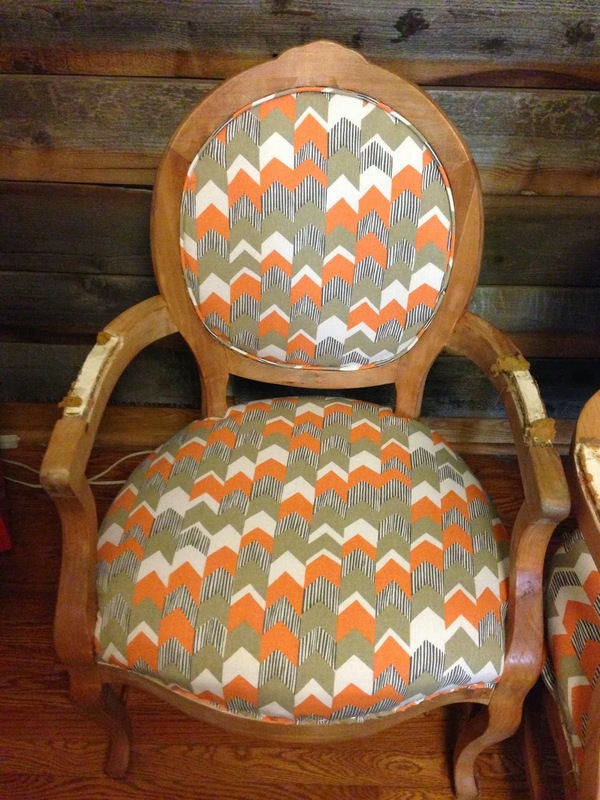 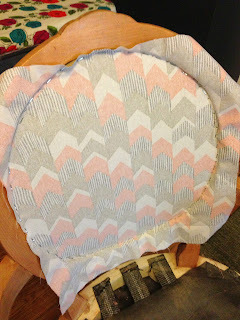 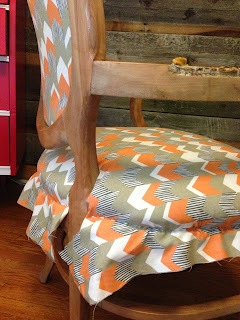 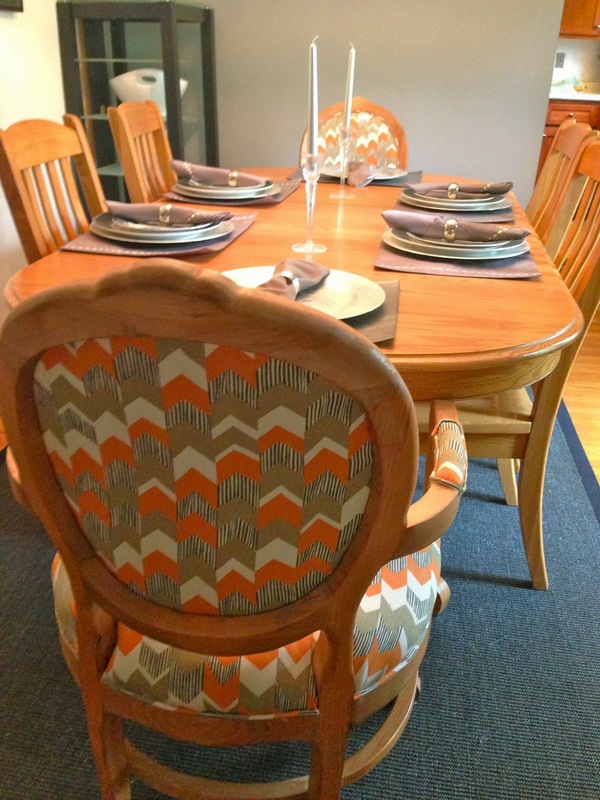 Lastly, I was able to reupholster, my favorite part! 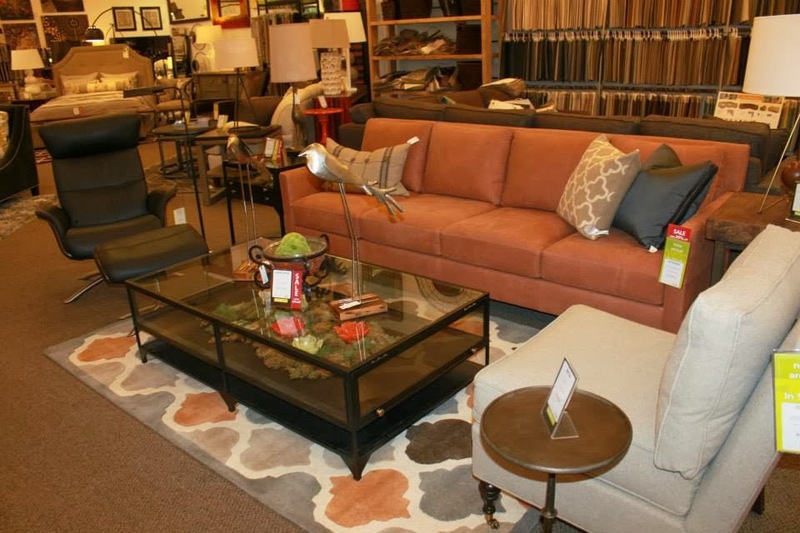 I hate that as consumers we feel limited to keep indoor items inside and outdoor items outside. 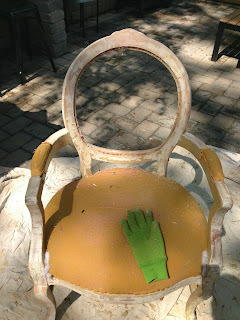 Break the stereotype! 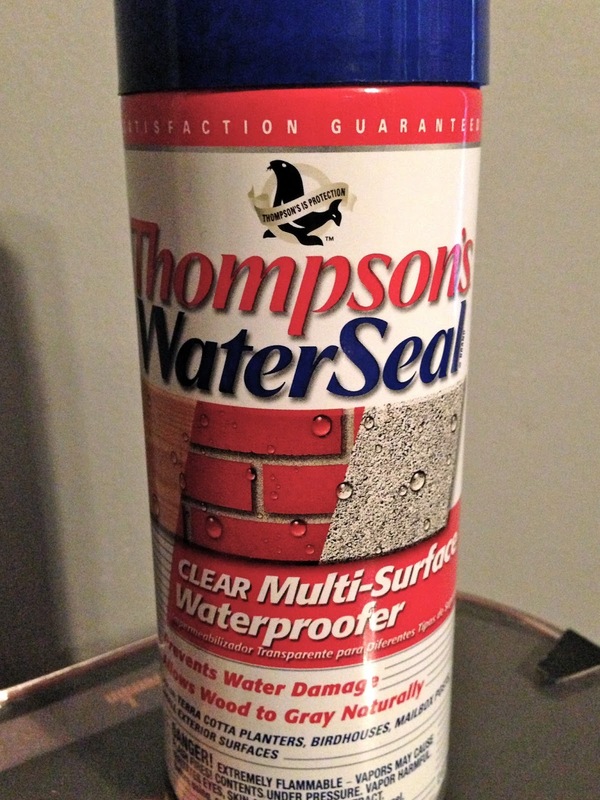 You can weatherproof just about anything if you have the right products. This product is so simple to use and can be applied to any furniture piece you'd like to keep outside. 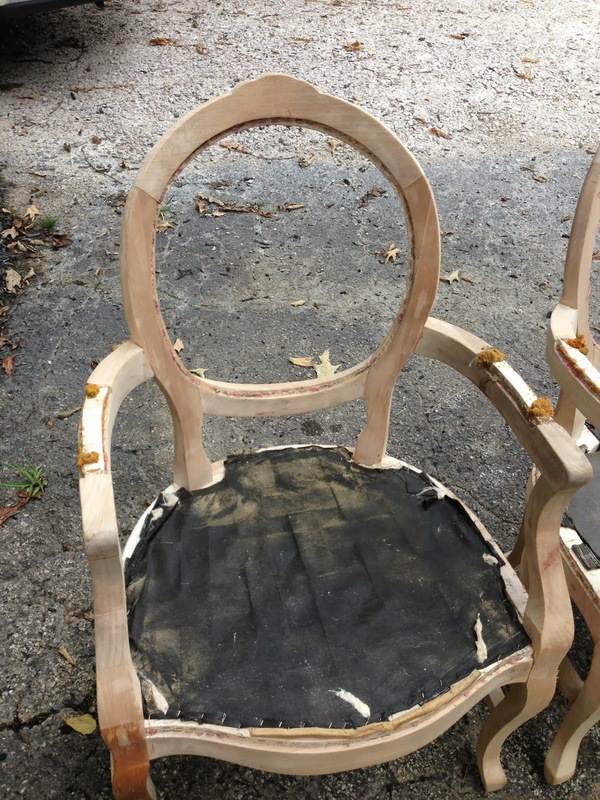 It helps to prevent water damage and says "it allows wood to gray naturally." 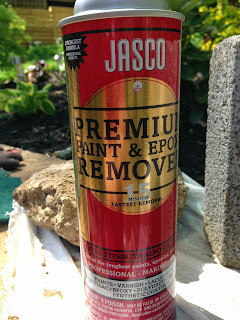 Do not use on plastic or recently painted items. 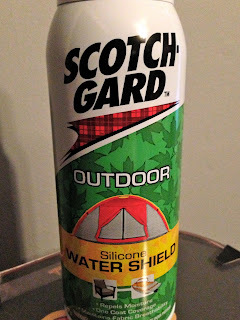 Scotch-gard Water Shield: Ideal for Fabric, Clothing (aprons, jackets, etc.) 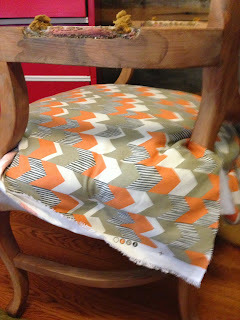 canvas, umbrellas and patio furniture. 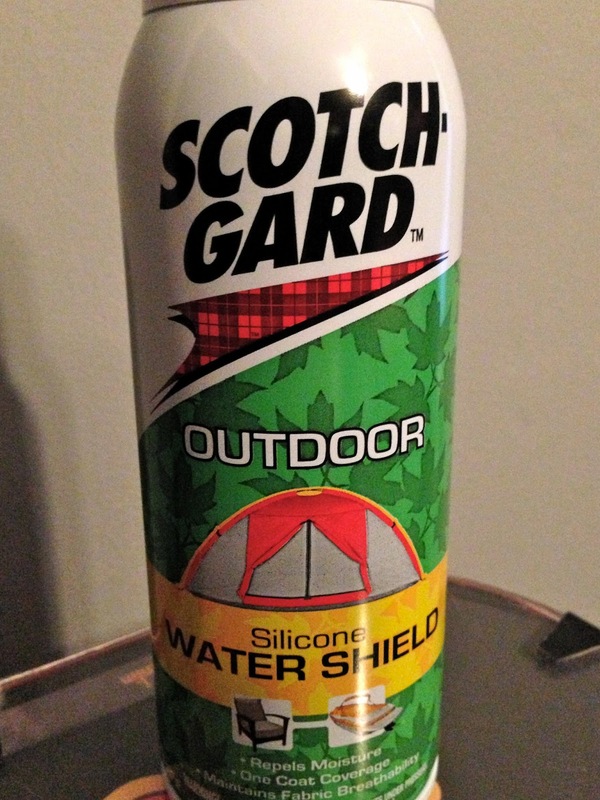 I LOVE this product. 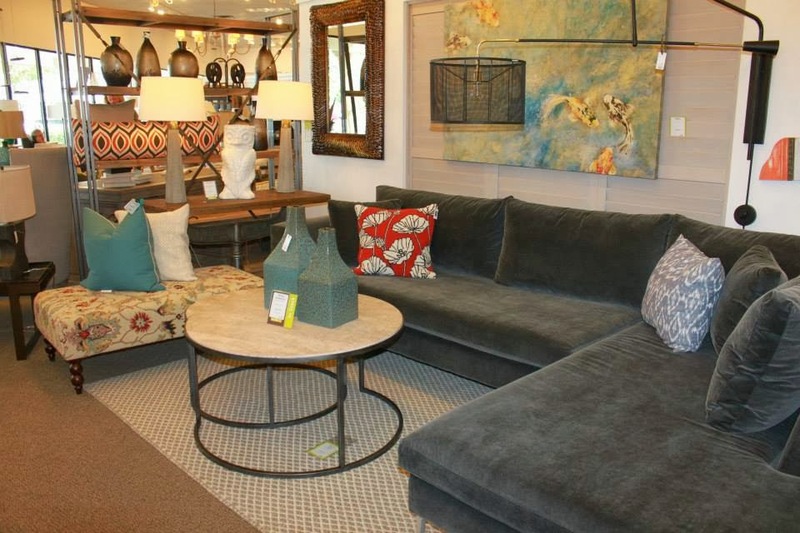 You are no longer confined to "outdoor" fabric for your cushions. This product repels rain, snow and moisture. 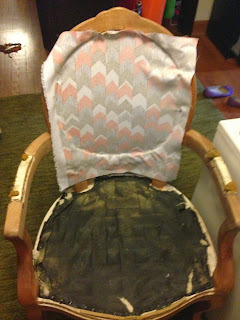 It allows fabric to still breathe while quickly drying after water exposure. 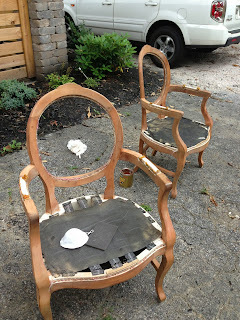 I would suggest doing three even coats when first applying and another coat each season. 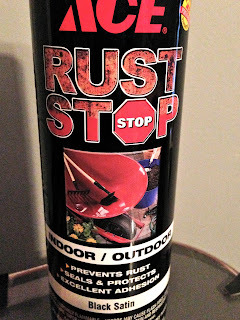 You can easily coat any metal product with rust stop (outdoor rated) paint. You can prevent peeling, chipping, heat damage, fading, and more from weather rated paint. You'll be wasting your time and money if you use indoor paint for items that will be exposed to the elements. You can now bring your home decor items outside. 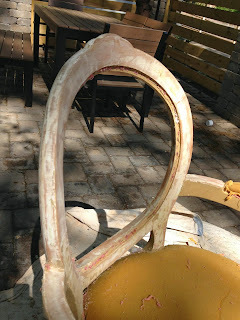 I have painted my wood rack, metal folder chairs, house numbers, mailbox, planters and more. The possibilities are endless!